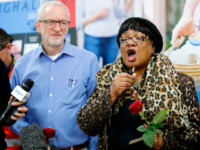 What on earth is Rudd doing giving succour to the race-baiting mob which knows full well that she had no intention of being disrespectful, let alone racist, and which is merely exploiting this incident as a cynical power play? 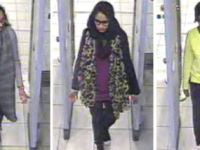 I’m warming to Shamima Begum, the jihadist bride who feels very, very strongly that she should be allowed back to the UK as a reward for the four tough years she spent in Syria supporting Islamic State. 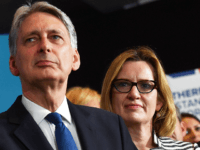 Up to 40 Government ministers could resign if they are blocked from backing procedures that could postpone Brexit or stop a clean break from the EU. 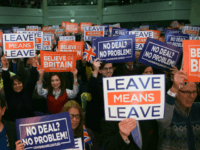 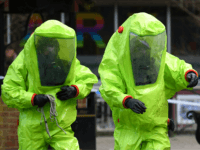 A senior civil servant has blown the whistle on “Project Fear Mark III”, revealing that the country is actually well-prepared for a “No Deal” Brexit and the scare stories about Britain “crashing out” into “chaos and doom” are “absolutely untrue”. 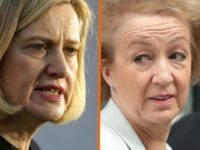 Cabinet Brexiteer Andrea Leadsom has attacked suggestions by Cabinet Remainer Amber Rudd that there could be a “plausible argument” for a second referendum if the Withdrawal Agreement is voted down in Parliament. 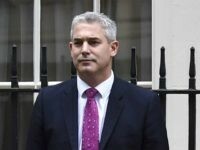 Theresa May’s newly appointed pensions secretary has moved quickly to undermine a full ‘no-deal’ Brexit, claiming Parliament will block a “no deal” exit from the European Union (EU), with the Prime Minister echoing that view just hours later. 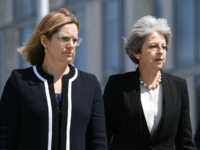 LONDON (AP) — British Prime Minister Theresa May has filled two vacancies in her Cabinet left by ministers who quit over Brexit. 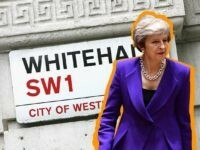 The National Crime Agency (NCA) has warned that the United Kingdom’s soft border with the Irish Republic is being exploited by people smugglers, as Prime Minister Theresa May “sells out” Brexit in order to keep it as open as possible. 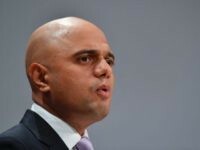 Communities Secretary Sajid Javid has been installed as Amber Rudd’s replacement as Secretary of State for the Home Department. 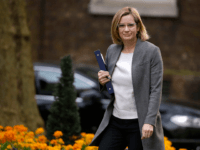 Home Secretary Amber Rudd has resigned from Government. 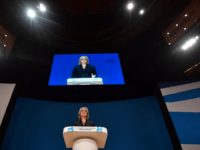 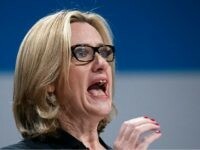 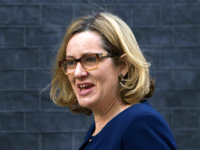 Home Secretary Amber Rudd has proposed negotiating away border controls during the Brexit talks, giving EU migrants access to Britain’s labour market, benefits system, and health service. 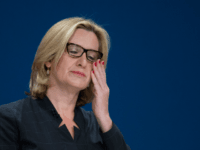 Nearly 500 foreign criminals including violent offenders had gone off the radar after the Home Office took too long to deport them following their release from prison. 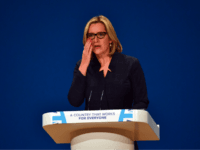 Amber Rudd’s Home Office has lost track of some 56,000 migrants who were supposed to be deported, including over 700 criminals. 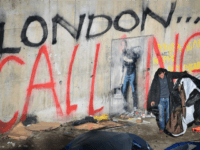 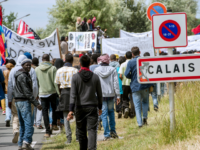 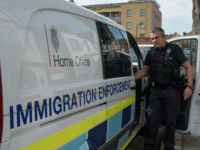 Home Office contributions to Britain’s foreign aid budget totalling £362 million a year are mostly spent on illegal migrants and asylum seekers in the UK. 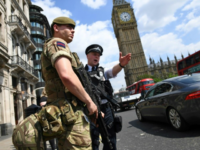 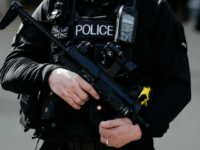 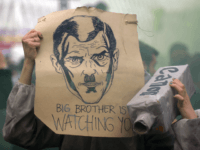 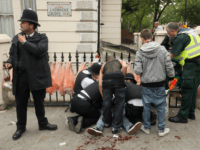 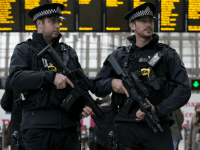 The government should not “criminalise thought”, the UK’s terror watchdog has said, after ministers revealed new laws criminalising viewing “extreme” online material following a wave of Islamist attacks. 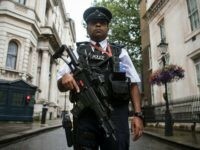 British police forces arrested at least nine people a day for “offensive” comments on social media in 2016. 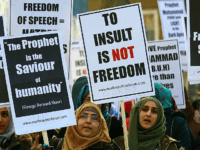 A classified report found that radical Islamic groups in Britain are raising huge sums of money through public donations, the Government has revealed. 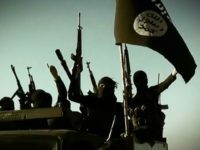 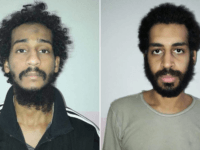 The Government is under fresh pressure after the claim that a tool to control returning Islamist fighters has been used just once since it was passed into law in February 2015, with “no more than four or five” more under consideration.